It took about a minute for the audience at this year’s French Grammys, Les Victoires de la Musique, to anoint Jain pop’s most compelling new star. Performing her song Come at the televised ceremony, surrounded by dancing doppelgangers, backed by masked drummers and blaring brass, Jain stole the show as the crowd leapt from their seats in disbelief. The following day, Come was at No.1, helping to propel Zanaka to platinum sales in France within a couple of months of its release. 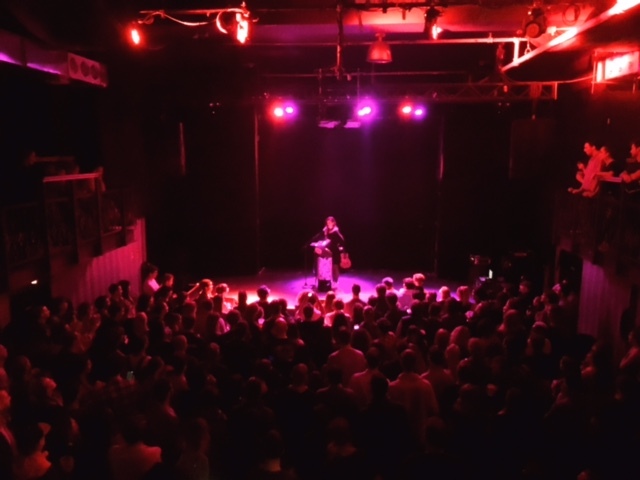 Jain, the unique singer-songwriter with a positive message making waves from France, just sold out two-straight shows in New York City, on the 12th at Rough Trade in Brooklyn and on the 13th at Mercury Lounge in downtown Manhattan. She also played recently in Los Angeles. Here are a few photos we snapped at the Rough Trade show. American music fans rejoice – Jain has already been selected to play at the famous SXSW festival in Austin, Texas in 2017! France Rocks recently had the pleasure to exchange via email with an exciting new French artist with global influences, Jain, resulting in a very unique and intriguing interview. 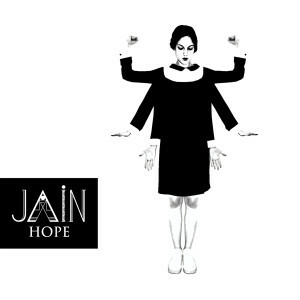 Jain, who grew up all over the world but considers Toulouse, France her hometown, is in the process of releasing a new EP, available digitally in November. FRANCE ROCKS: You spent much of your early years moving around the world – in Europe, Africa and the Middle East. How has this poly-culturalism and mobility influenced your approach to music and the songs you create? FRANCE ROCKS: Speaking of cultural differences and influence, what do you find unique about music made in France (versus American music, for example) and how do you think these differences are reflected in your music? JAIN: I think there’s a lot of very cool stuff going on these days in France, and Europe. The Electronic stage has always been very attractive and today, more and more artists understand how to mix styles, influences, and be fearless, because there is nothing to lose by trying new music. The Internet sometimes has a very good impact on music, because people can discover sounds from all around the world and be touched by it. Music is universal. I think in France, we have a lot of freedom because nobody is waiting for us in the musical landscape. FRANCE ROCKS: Are there any French or Francophone artists you’ve been listening to lately that you would like to recommend to American audiences? JAIN: I really like The Dø, Stromae, Christine and the Queens, Fakear for example, I think they all have something very unique…. FRANCE ROCKS: You list your hometown as Toulouse. What’s going on there musically? Any artists we should know about? 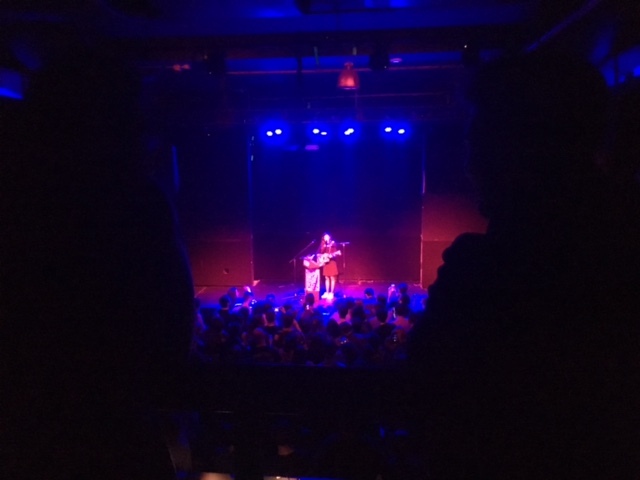 JAIN: Actually Toulouse has a very interesting history with music, a lot of new groups are from this town, and they have a very strong indie pop/rock stage. I would recommend Kid Wise… Toulouse is in the south of France, historically jazz and rock are the main musical genres over there, Claude Nougaro, one of the legends in France was from this town..
FRANCE ROCKS: Your videos, like the one for “Come”, have a unique and colorful visual style. In what ways are you involved creating the music videos and what role do visuals and visual imagery play in your music and your artistic vision? FRANCE ROCKS: According to wikipedia, the “three main principles of Jainism are non-violence, non-absolutism (anekantavada) and non-possessiveness (aparigraha).” How does this concept of the Jain fit in to your music, and if it does, in what ways do you think artists should or should not be involved in terms of social progress and political message? FRANCE ROCKS: If you could collaborate with any living artists who would they be and why? FRANCE ROCKS: Tell us a bit more about your upcoming projects in terms of new recordings and tours. FRANCE ROCKS: What is your plan for the US? Do you plan to tour here in the future?